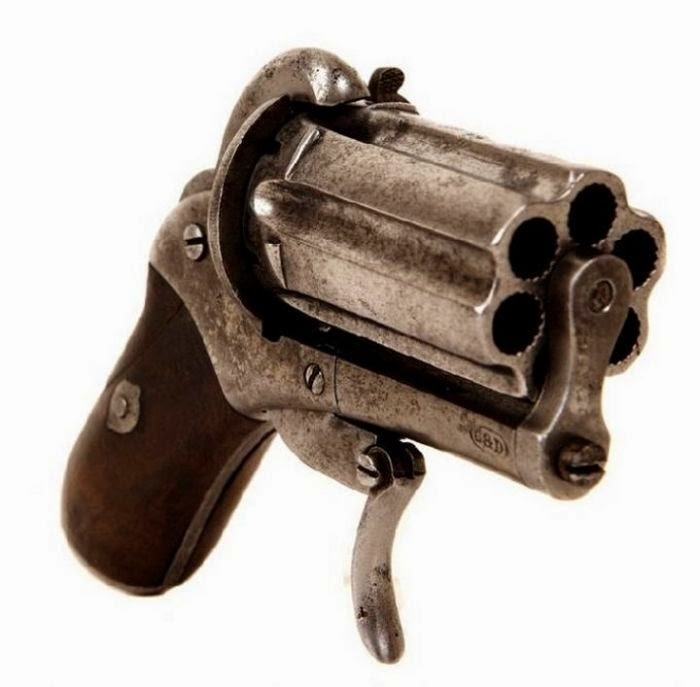 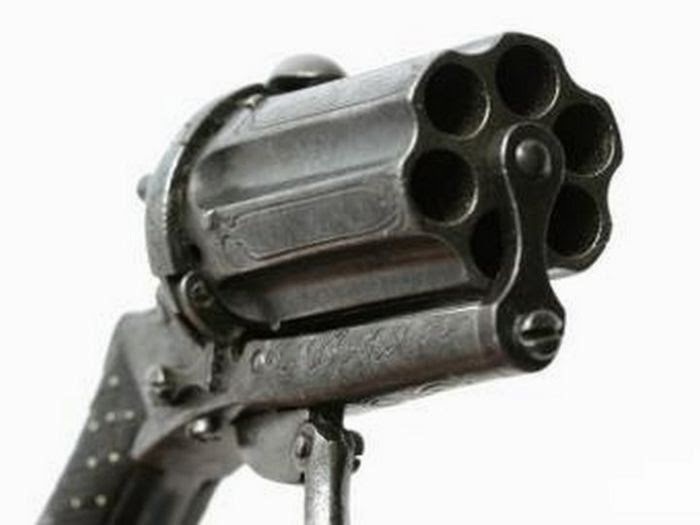 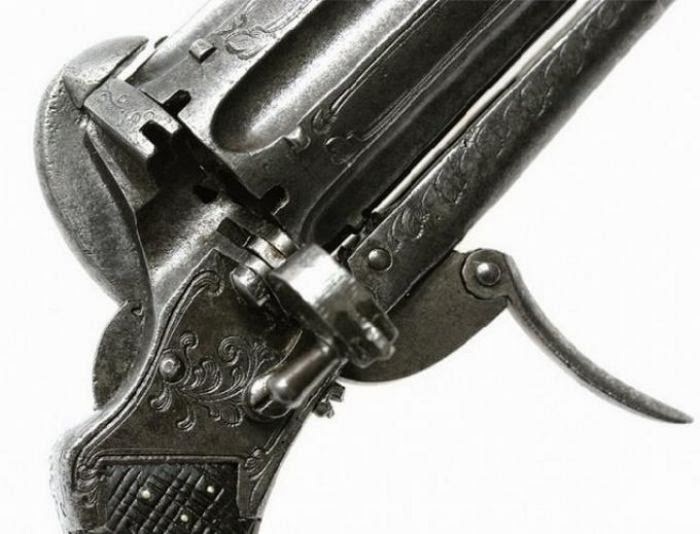 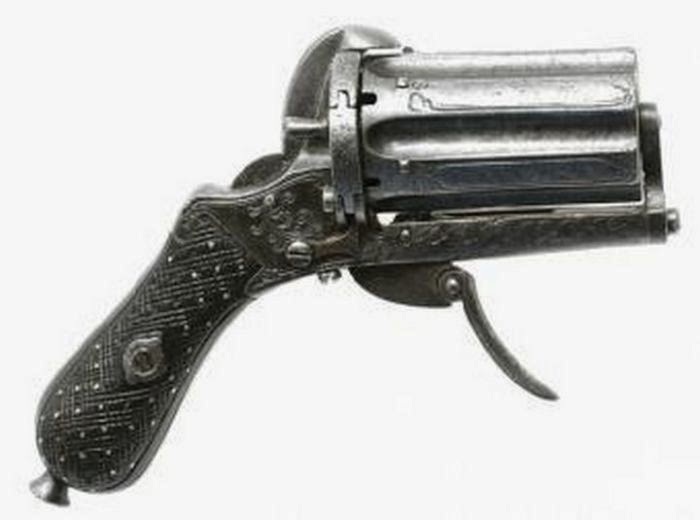 Firearms have come a long way since the 19th century. 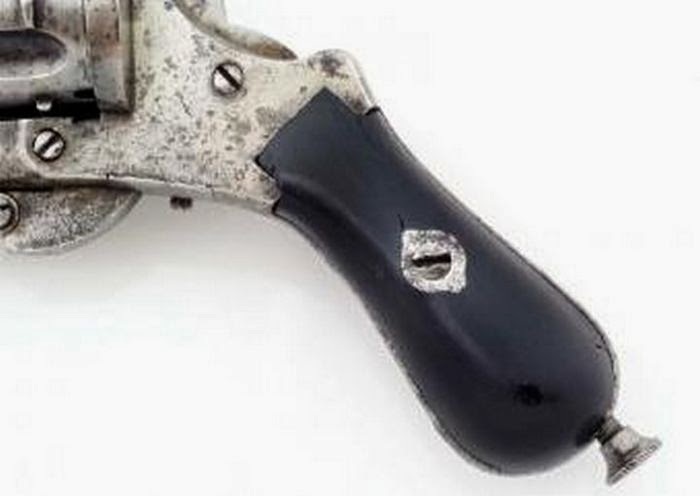 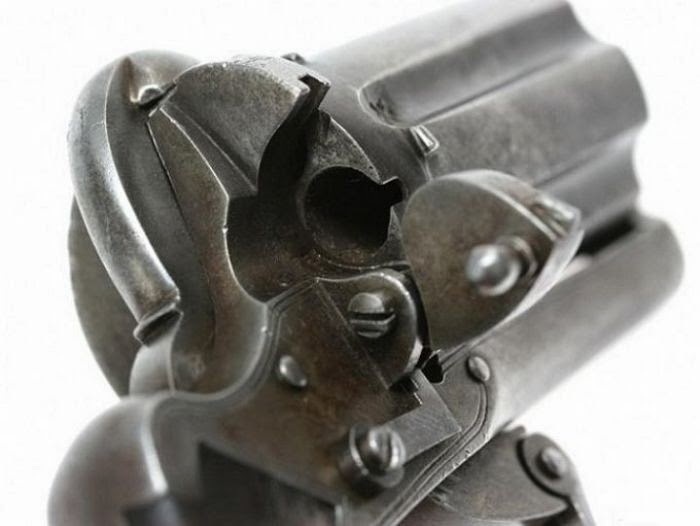 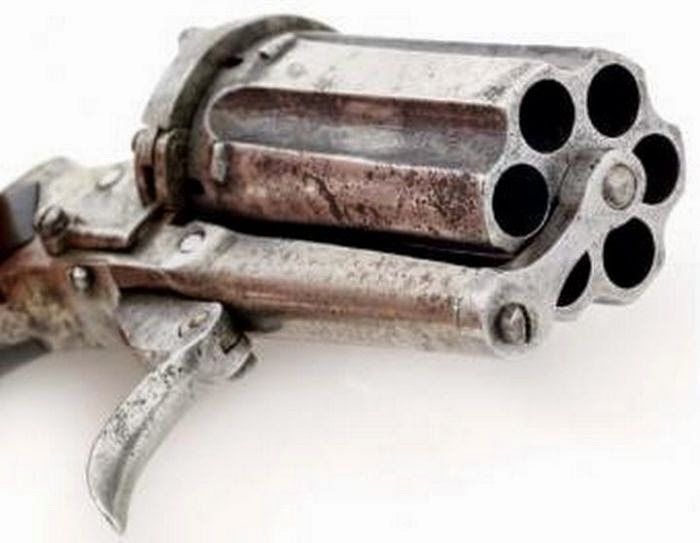 Get a glimpse into the guns of the past with these photos of a vintage revolver. 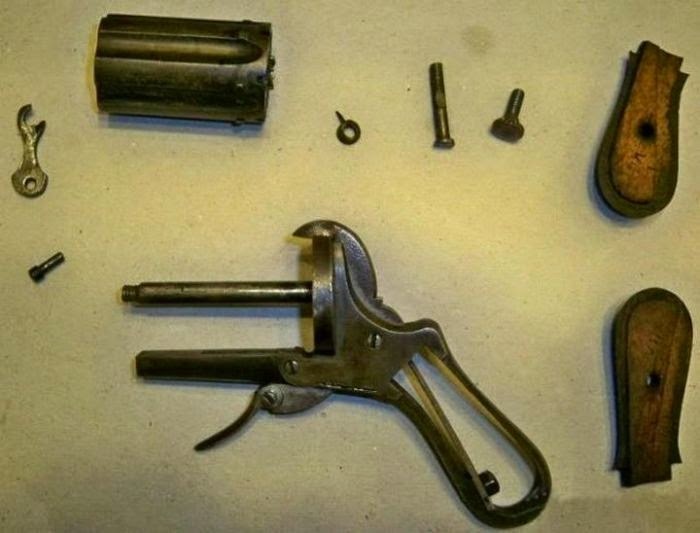 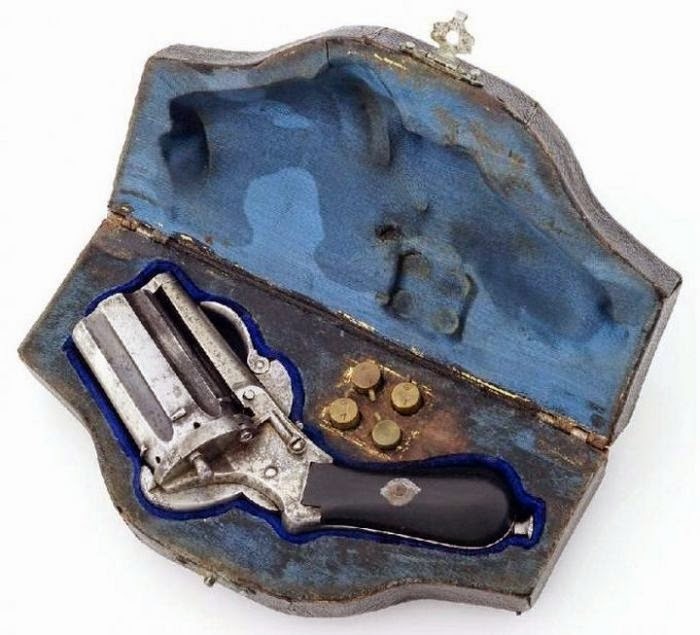 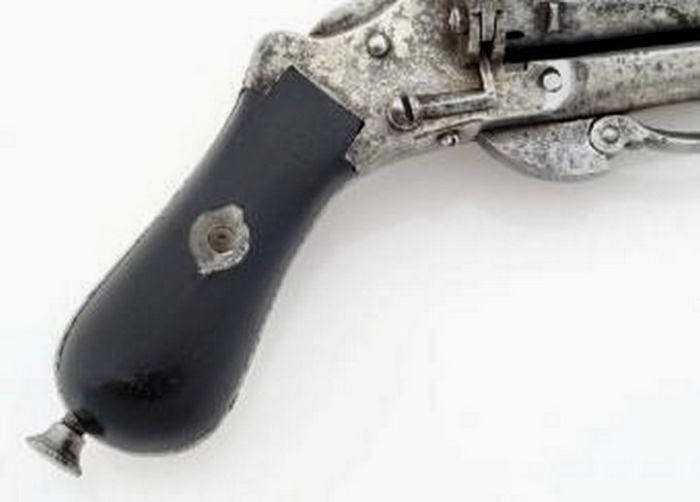 2 responses to "Vintage 19th Century Revolver (10 pics)"
This is a six shot,pin fire,pepperbox, revolver with extraction rod,mounted in the handle of the firearm,about 1845 to 1860.